4 Responses to "The Irony of It"
Ah, fantastic. Beautifully expressed, thorns and all. 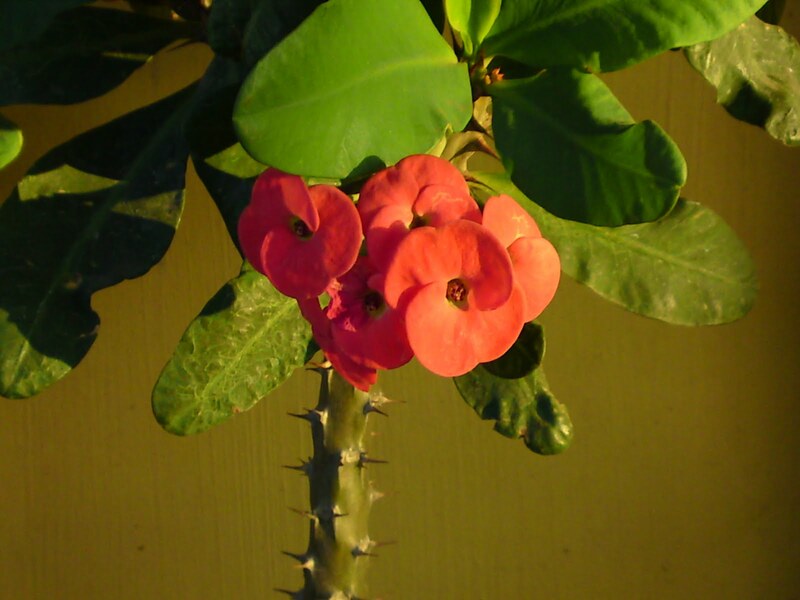 Here, this plant is called Thorn of the Lord. Its flowers are red like the drops of the blood which appeared on the Saviour's forehead after he was croned with thorns. Interesting lines ! An indian proverb says : Who loves the roses, bears its thorns too !